Since joining Galloway right out of law school, Kelly has learned to look for innovative ways to resolve his client’s issues, continually focusing on serving his client’s needs without compromising each specific client’s expectations. This has included balancing aggressive litigation with cost-effective resolution, all in an attempt to achieve the client’s goals. Also important to Kelly’s approach is communication that preserves the outcome control so important to each client. Kelly has developed a broad based skill set that focuses not only on the law, but also the practical side associated with its application. While developing skills in several different areas of law, Kelly has had the privilege of representing health care providers, long term care facilities, nursing homes, energy companies, construction firms, as well as their underwriters and other insurance companies. Kelly has been involved in the handling of complex litigation including death cases, multiple claimant health care claims, personal injury lawsuits arising from drilling operations, cases arising under the Jones Act and general maritime law, general liability, automobile and trucking liability matters. 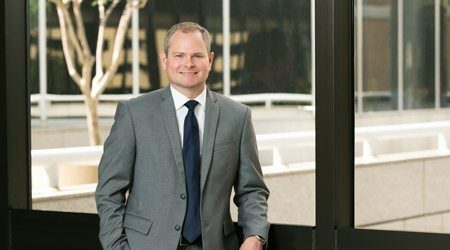 In addition to his litigation experience, Kelly has assisted in drafting, reviewing and rendering legal opinions on contracts and other commercial documents, including employer Dispute Resolution Programs within the health care industry and energy industry. Kelly has been recognized a top up-and-coming attorney in the state of Texas from 2011, 2012, 2013, 2014, 2015, 2016, 2017, 2018 and 2019, when he was named a Texas Super Lawyers “Rising Star.” Compiled through peer nomination and research, only two percent of attorneys in Texas under 40-years old receive this distinction. Outside of the courtroom, Kelly actively participates in the community as a volunteer for the Houston Livestock Show and Rodeo on the Breeders Greeters Committee. In his free time, Kelly enjoys playing golf, snowboarding, and training for and competing in triathlons. He also enjoys spending time with his wife, Cynthia, son, Liam, and two golden retrievers, Duke and Duchess.